I don’t take on brand blog posts lightly, in fact, I say no to most, as I only choose to work with brands if: I genuinely like the brand and secondly, if I think my readers will get something out of it. This is one of them! I heard about b.box (HERE) around the time between I had Will and Freddie. 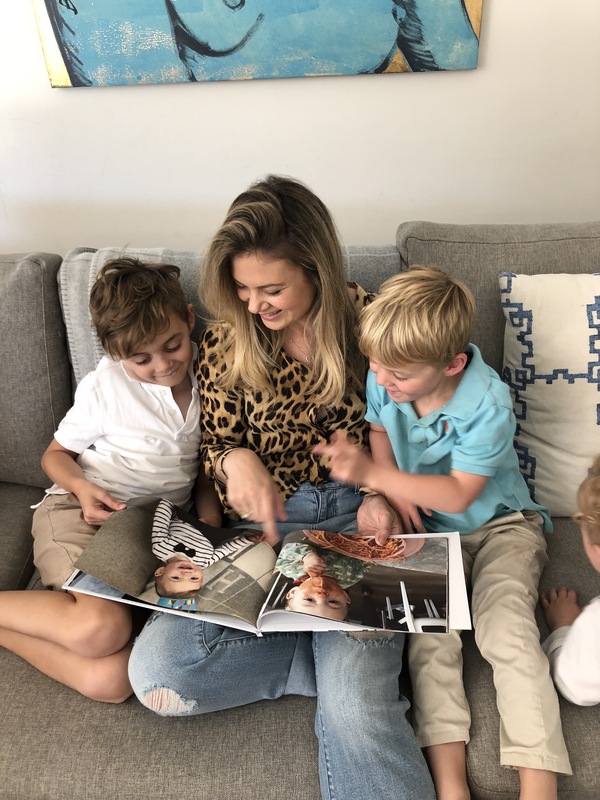 My best friend told me she swore by their products, especially the sippy bottle, this magical bottle that she said helped her kids independently drink from a bottle with no spills. 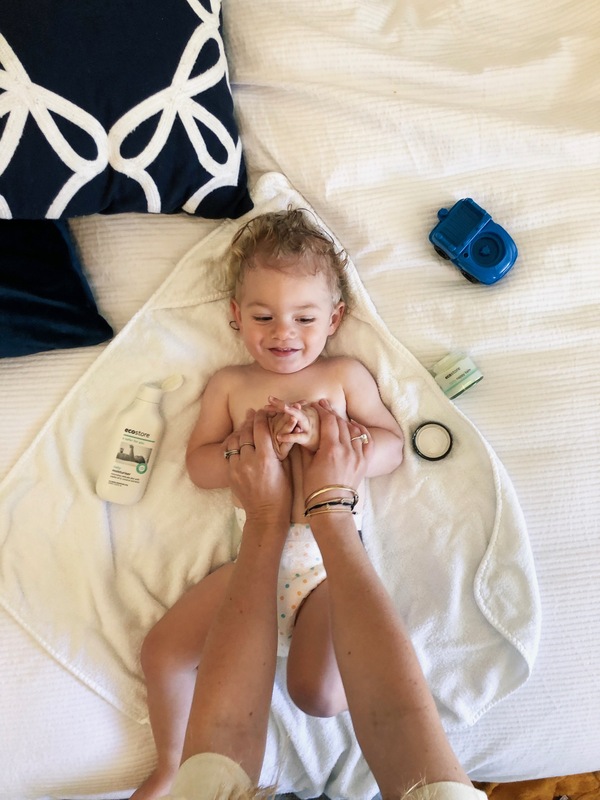 Fast forward to last week and I got to try the b.box (baby box) products for myself (finally!). The first thing I said out load as I opened up my box of goodies was “So good!” “So smart!” Every product I was pulling out was a ‘yes’ moment and I wished I thought of all this myself. Not only did the bright colours look fun but the practicality and innovative designs got me more. 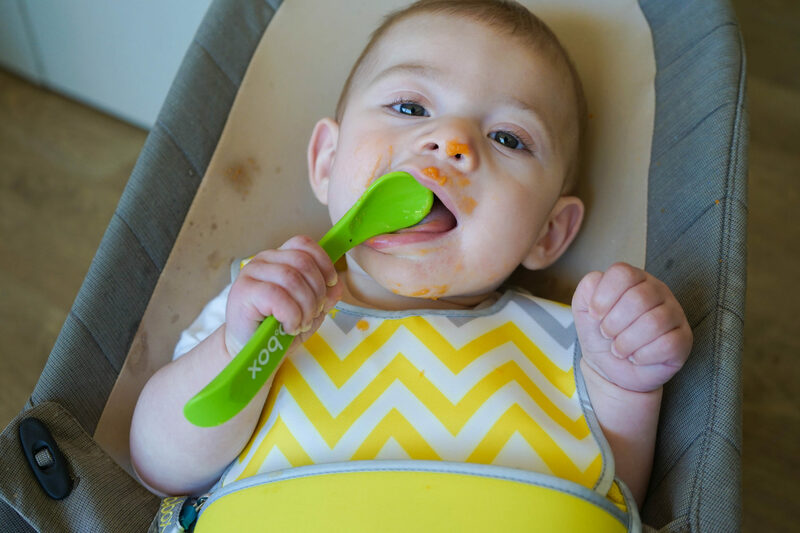 For example, the travel bib + spoon (BPA, Phthalates and PVC free) is genius! No mess, easy to take food out and about and not get puree food mess all over your hand bag. I will go through my favourite products below with you but I have to say to you, I have come across some good brands during this third motherhood journey and this is one of them I will be recommending for a long time. Firstly, I get lots of questions about packing and feeding solids when I am out and about. There isn’t really much to it, you just have to pack right and make sure you time it right. 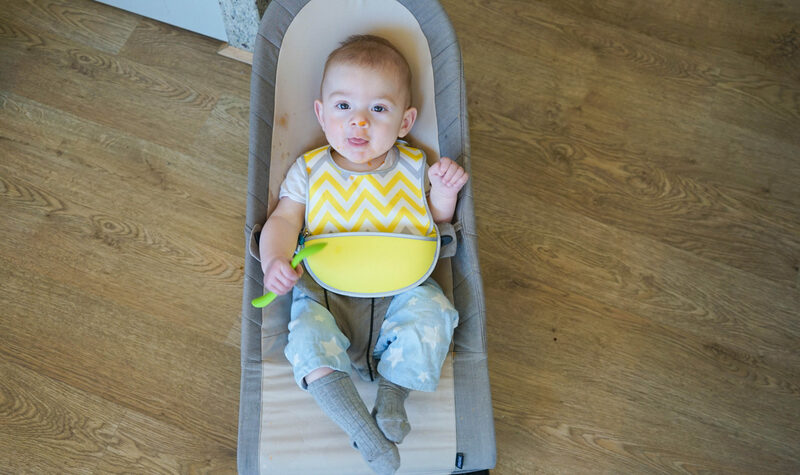 A bib, I highly suggest the b.box travel bib + spoon as the spoon is stored in the zip part of the bib which is great for packing light, zip it back in afterwards and wash it down when you get home. A spoon (ideally as per above) but you would need to also pack a zip lock bag to put it in after wards. Your baby food, either a pouch (Store bought) or in a container home-made. Find a safe place to feed your bub. 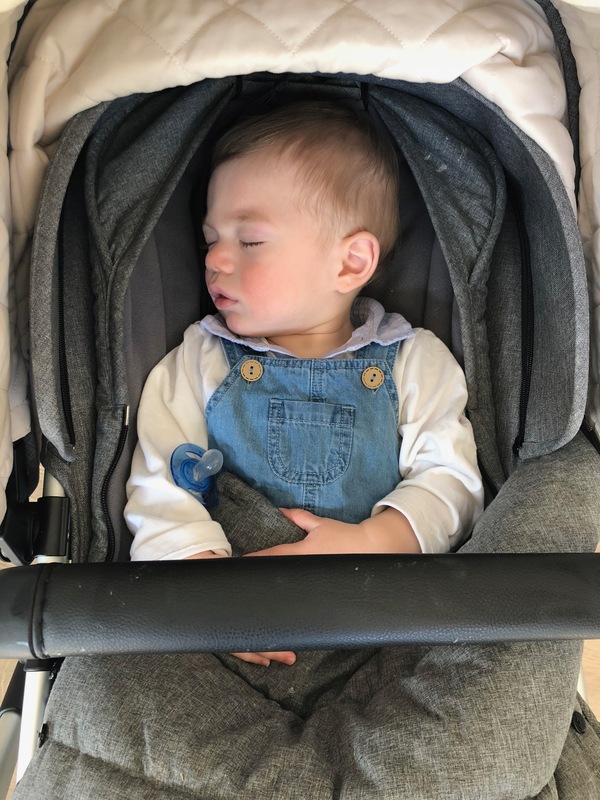 When I am out, I usually tilt the pram up and keep him strapped in. Put the bib on and get your food and spoon ready. I feed a store-bought pouch at room temperature, I also defrost my own-made baby food overnight in fridge and take with me in a container. I will serve this at room temperature or if I really need to, I could microwave it for ten seconds in a shopping centre baby room, but ideally, I prefer to pack food that is good at room temp. Another idea it to pack rice cereal- one table spoon into a container and then make up the formula (or cooled boiled water that you could pack) and pour it over the dry rice cereal and make it fresh then and there. Pack up all the items, the bib, spoon, containers and food. Hopefully, if you have the right equipment with you, there will be less mess in your bag. Now that we have that sorted, I will guide you through some of the b.box products I love and will be using from now on in! Comes with a spoon, has two compartments that seal separately, for two different foods. Also, great for toddler snacks (fruit, sandwiches). The spoon stows away in the lid. BPA, Phthalates and PVC free. Will loves soup but he is always spilling it with his spoon (which is a good skill for him to learn) but hey, if I can save mess! This is also a container that you can use with the push through lid, simply put fruit in or anything and they put their hand in to get it out without it all tipping over in their lap. BPA, Phthalates and PVC free. Aston has to have his food divided on a plate, this one is not only fab, it has gripping underneath so the plate stays. BPA, Phthalates and PVC free. Have a snoop on their website and see all the other products, including the bottle I was talking about (which I don’t have yet but will be picking one up in the coming weeks when Freddie is ready) and the nappy wallet– which I thought would be cool for when I go overseas.